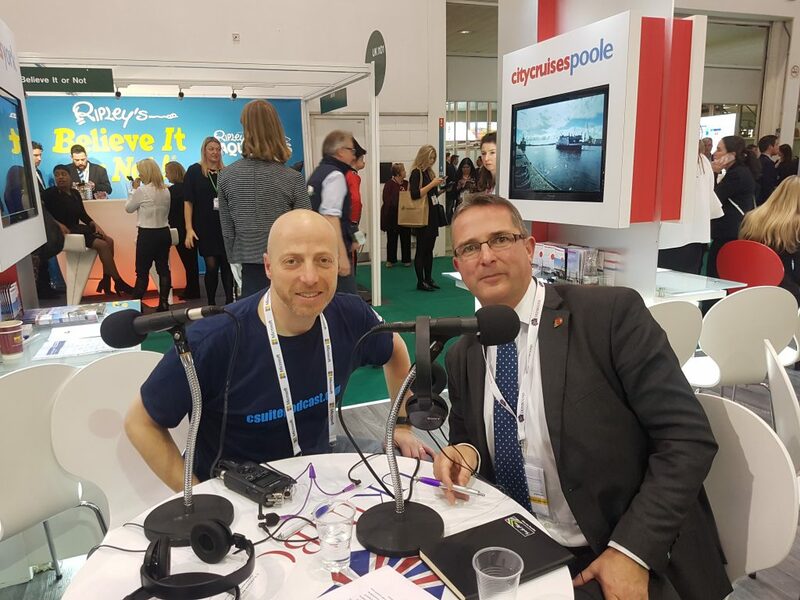 Show 57 was recorded at the 2017 World Travel Market from ExCeL, London and was produced in partnership with Lotus and supported by TINT. 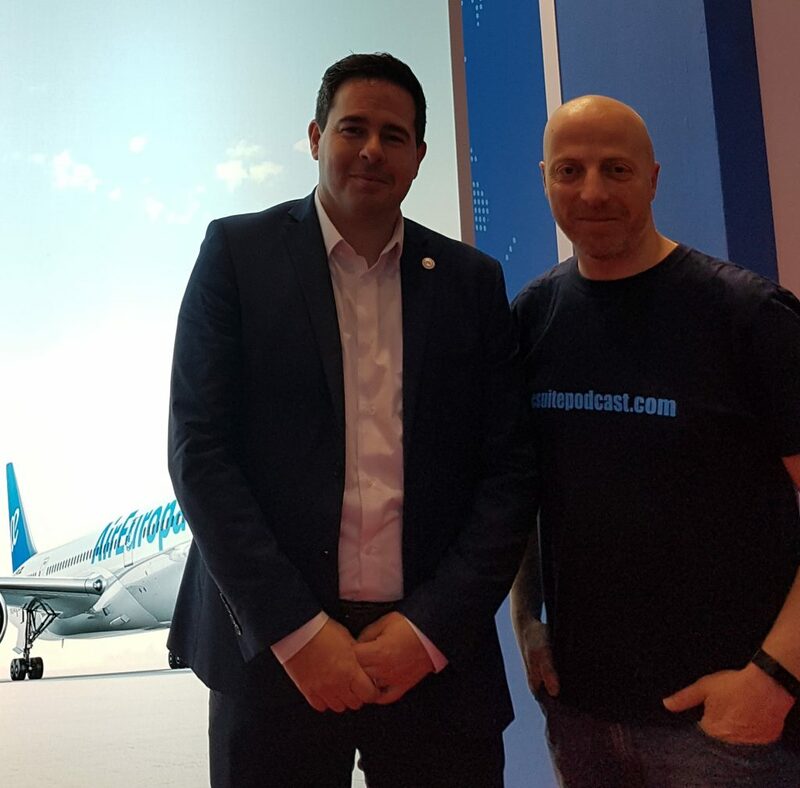 Our first interview was with Richard Young, Sales and Distribution Manager of Heathrow Express who started by giving a bit of background as to who is using the service. Richard said that Heathrow Express had had a great 2017, where their passenger numbers increased by 9%, which equated to an increase of around 400,000 passengers in the year for them. He added that this growth had been driven by different strategies with their fares, for example, £15 weekend fares, which are helping to drive a different demand and so they are seeing a lot more leisure passengers using the service [as well as Business Travellers]. They also have advance purchase fares, which are as low as £5.50, plus they have seen a success with their ‘kids go free’ offer too. Richard then shared some of the findings from Heathrow Express’ recent Business Travel Insights Report, with regards to millennials, who he said they found are increasingly tying to combine business trips with leisure. They don’t have as much disposable income as previous generations may have had, so are looking to build any leisure time they have into a business trips. Of course, 2018 also sees the opening of the Elizabeth Line, the section of Crossrail from Paddington to Heathrow but at the moment, Richard felt that Heathrow Express can’t speculate what kind of impact that might have on them. What he did add though, was that Heathrow Express forms a key part of the overall airport strategy, where by 2030, they are looking to get 50% of people, travelling to and from the airport on public transport. 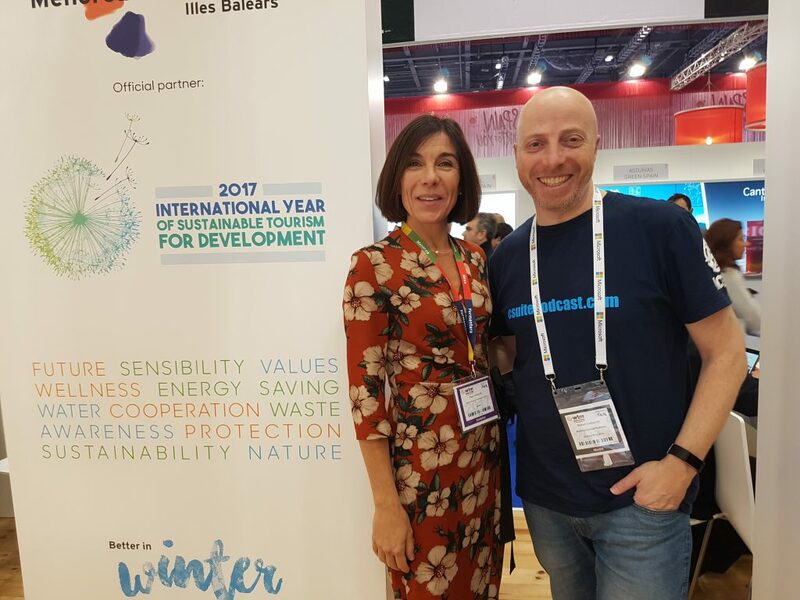 In our second interview at World Travel Market, Russell spoke with Pilar Carbonell, General Director of Tourism for the Balearic Islands Government. Tourism is of course hugely important to the economy of the Balearic Islands where the number of visiting tourists exceeds 12million a year. In fact, in between January and July 2017, the numbers were up 7.5% on the same period in 2016. This includes up to 500 cruise ships docking in Palma, Mallorca, each year, with around 22,000 passengers disembarking each day. Of course, this brings with it some difficult challenges and the recent anti-tourism protest in Palma was well documented in the UK press. Pilar explained that the main reasons behind this protest were not the tourists themselves but because of the policies put in place by the government, which is why the Balearic Islands Government immediately responded asking the protesters to talk to them but to leave the tourists. After all, they are visitors who have chosen the Balearic Islands for their holidays and Pilar said they should be really grateful for that. The response from the Government has been to introduce the tourism tax, which started in July 2016, which goes towards cultural heritage and to help preserve the islands. However, they have now added new legislation to cover the likes of AirBnB and vacation rents as Pilar said that they need everyone who comes to the Balearic Islands to contribute. She explained that as islands, they have limited space and therefore have to be limited in numbers. Pilar said that information about how the money raised from the taxes will be invested back into the local communities can be found at sustainableislands.travel. For example, water and sewage is a big project as is the preservation of the Sierra de Tramuntana as well the Posidonia project in Formentera, preserving the seaweed in the beaches, as this is what gives them the white sands and clean waters. Finally, Pilar wanted to raise awareness of their ‘Better in Winter’ campaign, encouraging tourists to come to the Balearic Islands in winter as well as the summer, as she said it’s not just about lying on the beach. She said there are many other things to do there and that it’s a beautiful destination for hiking and cycling, and of course great food, all just 2hrs from the UK. Philippine Airlines grew its passenger numbers in 2016 by over 12% to 13.4m and David said that 2017 has compared well. He explained that the company has changed its aircraft from an Airbus A340 to a Boeing 777 and by doing so, has increased capacity by 36%. He added that Philippines as a destination is now on the radar of people in the UK and so the airline is seeing a lot of back-packers booking flights plus those going on family holidays to explore the islands. David believes the Philippines is a ‘hidden gem’ within Asia and with a population of over 100m, there are actually more people who speak English there than in the UK! He said that as the Philippines is made up by 7000 islands, there are white sand beaches everywhere. Of course, diving is a huge attraction for the region, but he said that there is a trend for more families going on holiday to the Philippines and added that whilst it might be a long way to travel for a family holiday, it’s relatively cheap because of the current exchange rate [recorded on 6th Nov 2017]. Of course, British travellers don’t just use Philippine Airlines to travel to the Philippines and David explained that 52% of those people travelling with them from the UK go to onward destinations including Australia, New Zealand and Papua New Guinea. Therefore, final destinations might include Sidney, Brisbane, Melbourne and Darwin plus David said that they are launching a direct service between Malina and Auckland on 2nd December 2017. Philippine Airlines has also upgraded the entertainment systems in their aircrafts and the organisation is working towards an internal goal of becoming a five-star airline within five years, which David said they are now two years into. He was also pleased to say that they were ranked the 6th most improved airline by Skytrax, meaning they were going in the right direction towards their goal. Finally, Philippine Airlines has also launched a new campaign with a supporting video (below) that David said aims to educate non-Filipinos about the Philippines. 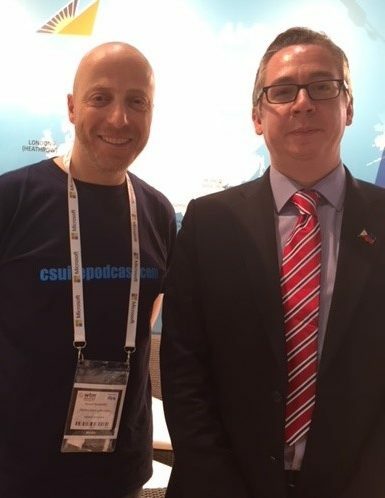 In our fourth World Travel Market interview, Russell spoke with Colin Stewart, Director, UK & Ireland at Air Europa, who had recently taken on the role of Chairman of the Latin American Travel Association (LATA). Colin said that the role was an exciting new opportunity for him. He explained that LATA has been established for many years and now has over 300 members, made up of tour operators, airlines, hotels, destination management companies and tourism boards. The purpose of the association is to drive awareness in demand and growth from the UK to Latin America, promote and establish their members as well as help create excellence in terms of health and safety between the two destinations. Colin likened his new role to that of the captain of the ship, keeping it in the right direction, ensuring they continue to innovate, move the association forward and to ensure they are relevant to their members. He said that the biggest challenge facing anyone is complacency, but as Latin America is a vibrant, dynamic region of the world, it is easy to be motivated. The main role of the job is to keep trying to add value to their members. Travel to Latin America is seeing a lot of growth and LATA members reported that in some cases, that growth was as much as 60%. Colin is very optimistic about tourism in the region and the interest is very strong. He said that in 2016 over 200,000 people visited Brazil from the UK; visitors to Chile were up 26% in 2016 and this included an 11% increase from the UK; visits to Columbia were also up 11.5% from the previous year and again, up 14% from the UK. He added that Latin America lends itself to a multi-stop destination and is sometimes a once in a lifetime experience to visit the region. LATA has many plans for 2018. In June there is the flagship event for the region, ‘Experience Latin America’, (see video below) which will allow them to bring their members together with buyers and suppliers. The event has grown each year and Colin is hoping that 2018 will be the biggest yet. There are also numerous networking events being organised throughout the year for LATA members including a PR masterclass to help the members learn how best to promote themselves, as well as a major event at the House of Commons so that members can promote the region and its needs to, as Colin described, decision makers in the powers that be. One of the key sites to visit in the region is Machu Picchu in Peru and Colin’s tip was visitor to that destination should book early! 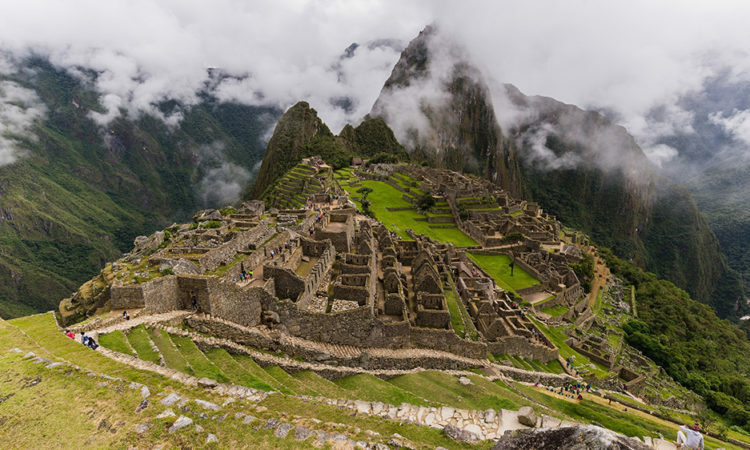 It is one of the most visited sites in Latin America, so he suggested to go with a registered tour operator as there are a limited number of passes given out. He also said that fitness is a benefit as the trek to Machu Picchu is much better than the train, if you can cope with it. For more information, visit www.LATA.travel. In our final interview from the World Travel Market London, we spoke with Wendy Pedder, Marketing Manager of VisitGuernsey. Wendy was excited to be talking about the fact that legendary film director, Mike Newell, has directed a new film, due for release in 2018, called ‘The Guernsey Literary and Potato Peel Pie Society’. Starring Downton Abbey’s Lily James, the film is based on the book of the same name and is about life on island during the German occupation of Guernsey during WWII. Having a film like this released is a fantastic opportunity to promote a tourist destination. Wendy said that on the island, VisitGuernsey are working with hoteliers and restaurants to theme menus and dress, plus there will be museum visits and tours based on places mentioned in the book. Off the island, they are working with tour operators and carriers to promote themed packages and they hope that the film could increase the visits to the island by 6-9% over the next two years. VisitGuernsey’s third quarter figures for 2017 showed that overall visitors to the island had grown by 6.4%. However, the really important statistic for them is the one related to staying leisure visitors and this had increased for a fifth quarter in a row, this time by 9.7%, which Wendy said gives the biggest lift to the on-island economy because it means visitors are staying in their hotels and eating in their restaurants. In 2018 the Heritage Festival, which runs from 3rd March to 10th May, will be themed on life during the occupation to again coincide with the release of the film. There are events planned every day, including walking tours, museum visits and food events. Straight after this will be the Literary Festival, where she is hoping that Paula Mazur, producer of the film, and the script writer are hoping to visit to talk at the festival. Another important area for Guernsey is the cruise market, where they have again seen growth over the last few years. In 2018 they already have 124 ships booked in and over 88 ships booked in for 2019 [at the time of recording the show]. 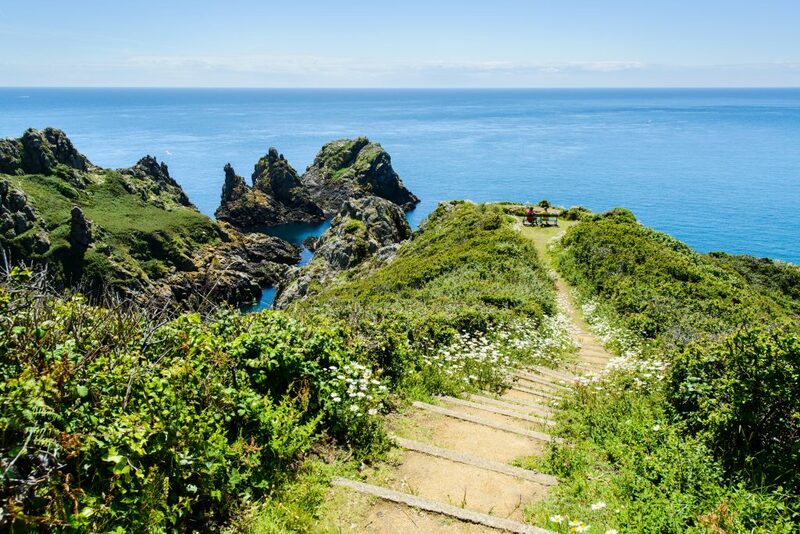 Wendy believes that Guernsey is a great destination, especially for walking – they have two Walking Festivals, one in Spring and one in Autumn. She said that the food on the island is great, especially the sea food, although there is growth in their contemporary restaurants and artisan foods producers. The island also has its own gin and craft beers, but of course it’s simply a great place to go to recharge your batteries in clean air and dark skies. Finally, Wendy added that Island hopping is key from Guernsey too, so for example visitors can go to Herm and Sark for day trips.